Caitlin Moore loves spending time outdoors. Though most of her hours spent in nature involve analyzing plant interactions, taking measurements, and fixing equipment, it’s still exactly where she wants to be. Moore is a University of Illinois Plant Biology Postdoctoral Researcher in the lab of Carl Bernacchi, a U.S. Department of Agriculture Agricultural Research Service. She has contributed to a number of research projects since arriving at the university, and most recently, she became involved in CABBI. 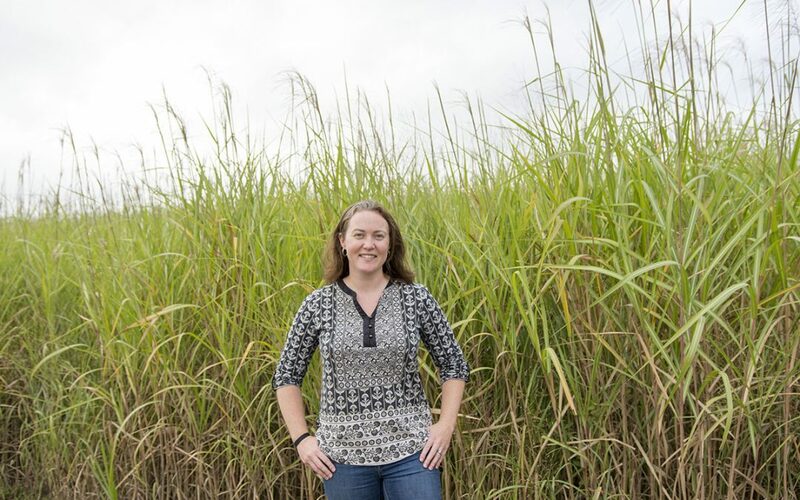 Moore earned her doctorate from Monash University in Australia, where she studied environmental science and natural ecosystems through her research on the carbon balance of a tropical savanna. Her skills led her directly to CABBI at its inception in late 2017 as one of the first non-faculty-level members of the Sustainability theme. Sustainability researchers will determine which feedstock combinations, bioproducts, conditions, and land types have the most potential to ecologically and economically replace fossil fuels. 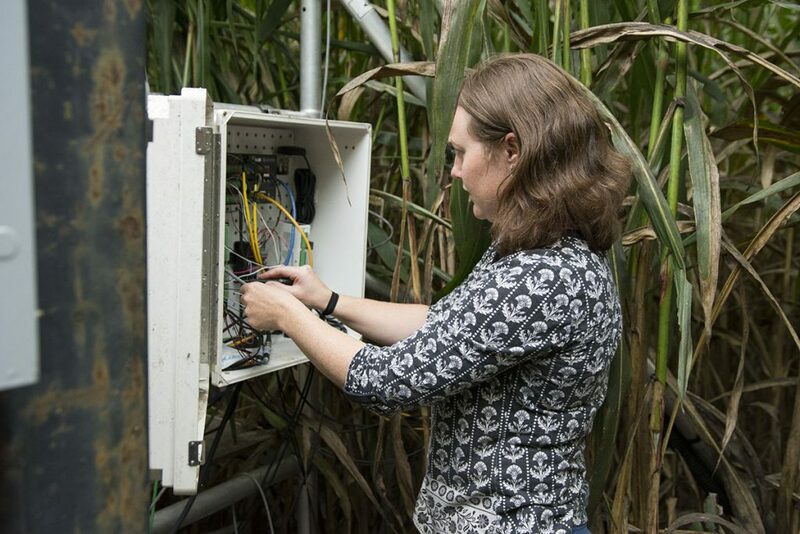 Moore’s work with CABBI revolves around a set of flux towers at the University of Illinois Energy Farm — 300-plus acres south of campus that contain plots with multiple varieties of energy crops — and at the Macarthur Agro-Ecology Research Center in Florida. The towers Moore uses have sensors that can measure how carbon dioxide and water are exchanged between the plants and the atmosphere. 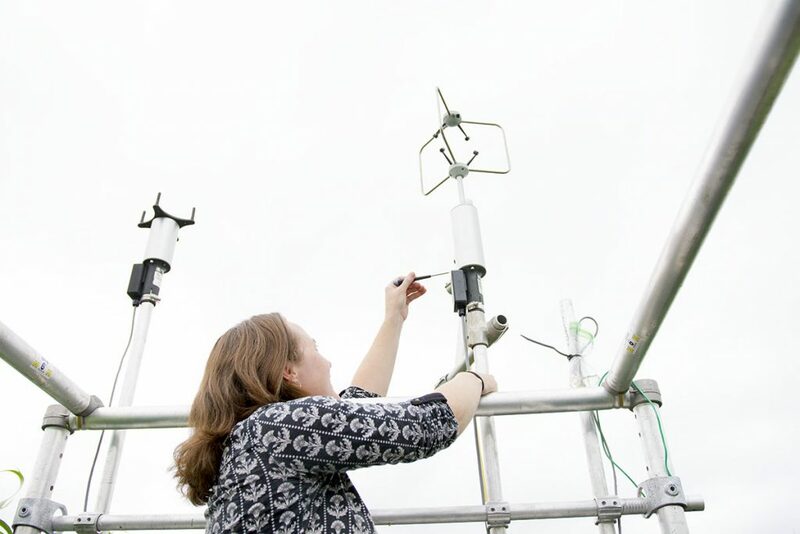 Her skills in micrometeorology — looking at how weather and climate affect individual fields, rather than regions — are useful in this project, where she analyzes these interactions at the field scale. Moore’s teammates and partnerships both shape and inspire her work. Working alongside others has given her a sense of interconnectedness and helped her develop wider networks. “Some of the best scientific work has been achieved through collaborations, which I think comes from sharing ideas and experiences,” she says. Moore hopes to pursue a career in academia and continue following new ideas.